ABB has signed a framework agreement with Aker BP ASA for electrical, instrument, control and telecommunications (EICT) set to contribute to improved project execution. Aker BP plans to execute field development projects on Aker BP-operated fields in a safe and very cost effective manner. The ambition is to increase the productivity, quality, flow and time efficiency throughout the value chain, and thereby increase the value creation and competitiveness. A core element to this improvement is long-term, interdependent collaboration with strategically important suppliers. ABB has, in this context, won a frame agreement for Electrical, Instrument, Control and Telecommunications (EICT). 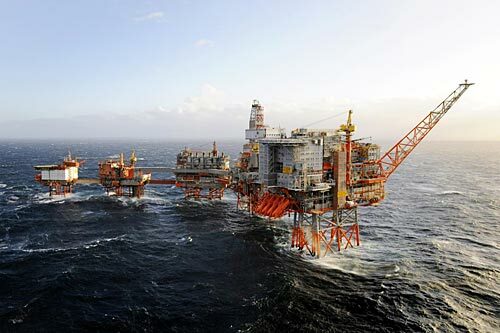 “This cooperation builds on well-established relations between Aker BP and ABB. We view the new collaboration as a breakthrough for more efficient project execution. We get involved in projects at an earlier stage, assume more responsibility, can provide integrated solutions in the concerned disciplines, and finally contribute with our digital remote monitoring services,” says Borghild Lunde, Senior Vice President, Oil, Gas and Chemicals, for ABB in Norway. The framework agreement covers design, procurement and installation of the EICT system. Aker BP will execute field development projects by a more integrated project delivery model; A “Platform Alliance” for each project. “Our goal is to work more efficiently alongside the suppliers, as well as to minimize the total time it takes to deliver the final product. We want to work as one integrated team and with the same incentives to reduce costs and to remove non-value-added activities,” says Senior Vice President Projects, Olav Henriksen at Aker BP. The frame agreement has a duration of 6 years with an option for 4 additional years. “We are confident that the alliance model will be fruitful for both parties and boost competitiveness in the Norwegian Continental Shelf. The agreement is strategically and commercially important to us,” says Lunde.